This trimmer looks pretty space age in it’s minimalist design, but besides looking impressive this also means it’s a very comfortable to use thanks to its perfectly balanced design, with it’s versatility aided greatly by a rotating rear handle so that you can work without having your arms in an awkward position, whether you’re cutting the side or top of a hedge. Like all the best hedge trimmers the Ergo Cut 48 comes with laser cut precision blades, so you can be sure you’ll be getting the best results possible as far as cutting is concerned. At 5kg this isn’t the lightest trimmer on the market, however the speed and comfort with which you’re able to work goes a long way toward making up for this. A powerful electric hedge trimmer from Black and Decker, the GT6060 pushes the limits of what an electric trimmer can cope with. 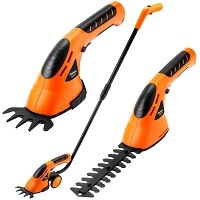 Combining the two favourable traits of being lightweight and powerful, this trimmer also features a large 60cm cutting blade with 2.5cm tooth spacing so that you can tackle thick foliage, and lots of it. It won’t come as any surprise to see that Bosch have made their stamp on the cordless hedge trimmer market, indeed they were one of the first companies to perfect hedge trimmer designs back in the 60s, and they’ve been improving their designs ever since. The AHS 48 is indeed a truly innovative piece of kit, and whilst it doesn’t do much to revolutionise the basic concept of a hedge trimmer, it does revolutionise how effective a cordless trimmer can be thanks to the unassuming (and unseen) ‘Syneon Chip’. This bit of kit gets the best from the battery, only delivering as much power as the trimmer needs, so fingers crossed the days of batteries not lasting long enough could be coming to a close. Whilst not strictly a hedge trimmer, not exclusively anyway, this is a really good example of the many single hand held grass and hedge shears on the market today. These cordless tools are really handy, particularly if you haven’t got a lot of trimming to do, or just need to tidy up a few edges here and there. One reason this VonHauds model is favourable is that it’s effectively several tools in one. Thanks to interchangable cutting blades and an optional extention pole, you’ll be able to trim in a whole variety of scenerios. For tough jobs and lengthy hedges petrol power is still the way to go. 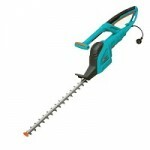 Check out these petrol hedge trimmer reviews for some of the best petrol trimmers around today. Alternatively check out our ‘Best Petrol Hedge Trimmer Comparison Guide’ for direct comparisons between our top rated models. Volvo, Ikea, Erricson, they’re all huge household names producing high quality products, and they all hail from the same great nation: Sweden. Husqvana are another highly resepected Swedish company, and they too produce products of the same great quality, a perfect example of which is this powerful petrol hedge trimmer. Far from being a noisy, messy gas guzzling monstrosity, this trimmer has been designed to be as user friendly as possible, with low noise and anti vibration features being what make it stand out among the competion. Just as Husqvana are engineering giants in their home country, so too are Hyundai in theirs, as experts in engine manufacture, it’s small wonder they’ve also turned their attention to powerful garden tools such as the HYT2318 hedge trimmer. 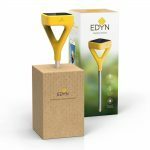 Alongside the powerful engine and dual recipricating blade mechanism, the biggest selling point here is that this trimmer weighs just 4.2 kg, a weight that even many battery powered trimmers would struggle to match. 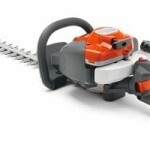 Along with lawn mowers, chainsaws, and leaf blowers; hedge trimmers are one of the staples of the garden power tool world. Hedges and trees have existed since time immemorial, and only slightly more recently people have chosen to have them as deliberate features within their gardens. Naturally the need to cut and prune foliage to keep the garden looking as neat and tidy as possible is an obvious one, and can be achieved in a number of different ways. For smaller tasks such as trimming the off branch here and there, loppers or secateurs are the obvious choice, after all you’re not going to be trimming for hours on end, so why over complicate (or spend)? Other occasions clearly demand something more powerful such as when pruning of an entire hedge row, and it’s here that the hedge trimmer really comes into its own. Hedge trimmers of every shape and size tend to all share the same basic mechanical principle: two blades made up of multiple ‘teeth’ reciprocate back and forth acting against each other like several pairs of scissors lined up next to each other. This not only does the hard work of actually cutting the hedge/tree for you, but also does it in many tens of times quicker than you ever could by hand. Most standard hedge trimmers feature a cutting blade of between 35 and 65 centimetres, depending on the model and power. These are designed to be held with two hands for trimming hedges within easy arms reach. Aside from this primary variety there are also long handled variants available for cutting branches that are high up and out of arms reach, as well as smaller ‘shrub trimmers’ designed to be held with one hand for cutting weeds and other smaller shrubs and bushes. In terms of power, the usual rules apply to hedge trimmers as they do to other appliances, you either opt for electrical (including cordless), or petrol power. Your choice will be affected by a number of factors including, average duration of use, how large an area you need to trim, and of course how much you are prepared to spend. If your garden is small, and the hedge you need to cut is modest, then 9 times out of 10 an electric hedge trimmer is going to be the perfect solution for your needs. Here in the UK space tends to be at a premium so naturally these are a popular choice among consumers. A hedge is a great feature in any garden, a natural dividing barrier to separate one area from another, not only do they look great thanks to being completely natural, but unlike fences and walls, you don’t need to worry about maintaining them or risk them rotting or falling apart. However one problem they do suffer from is their tendency to grow, uncontrollably in some cases! 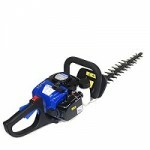 If your garden is home to a hedge of magnificent proportions then a petrol hedge trimmer is an absolute must, but if you plan to operate one you should be confident with being able to carry the additional weight, as well as with the extra tasks associated with petrol engines, including getting the fuel and oil mixture correct in the fuel tank, and making sure the engine is properly maintained. You should also note that petrol engines are far noisier than electric motors and also generate exhaust fumes. It’s always worth checking out the position of the exhaust on the trimmer, as there’s nothing worse than getting a face full of fumes as you go about cutting, the best petrol hedge trimmers will be designed such that the exhaust is diverted away from the user. 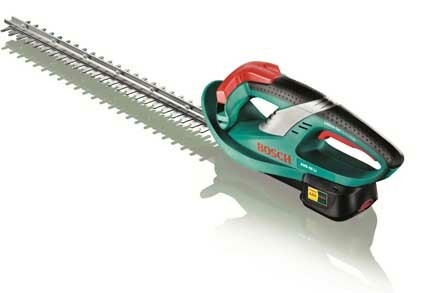 As mentioned above, as you read through our petrol hedge trimmer reviews, take particular note of the weight of the tool. If you need a petrol trimmer then there’s a good chance that your hedges are going to be fairly tall, so being able to hold the trimmer up high is going to be necessary for you, but bear in mind that these already heavy machines will soon feel even heavier once you’re holding them up high. If your hedges are consistently tall then it’s probably going to be necessary to use a ladder when working at height, although again you should still make sure you are comfortable with the weight first. Working at height can be dangerous at the best of times let alone when you have a powerful piece of machinery in your hands. The best petrol hedge trimmers will be comfortable to hold and in some cases weigh less than 5 kg, but even this will make your arms ache after a certain amount of time, and irritation as a result of the vibrations of the engine are also inevitable. If you have a particularly tall hedge or coniferous tree to cut, then rather than stand on a ladder, which as mentioned above can be dangerous, it might be worth considering opting for a long reaching trimmer instead. These feature a long shaft with the drive mechanism running through them, with the cutting blade arrangement on the end. 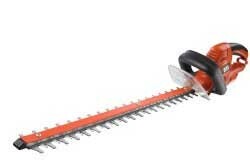 On some models you can also tilt the blade at different angles, ideal if you want to cut along the top of a hedge. Perhaps the greatest selling point of a long handled trimmer (besides the obvious) is that in many cases they come with an interchangeable cutting head, such that the tool can be turned into a strimmer or pruner. This is a good money saving feature if you have a need for it, and also saves on space in your shed or garage. 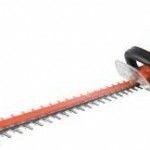 Besides the different power sources and sizes of hedge trimmer available to you, there are also important considerations to be made with regards to the cutting blade. As mentioned before blade lengths vary from between 35cm to 65cm, and naturally the longer the blade the longer the reach you’ll have, and the more hedge you’ll be able to cut at any one time. Blades also differ in the spacing between the cutting teeth, typically between 20mm and 25mm. More powerful trimmers tend to have a larger spacing, the reason being that larger branches are able to fit between them, which the trimmer will then have no trouble cutting through. It’s also important to note whether the trimmer you are intending to buy has reciprocating blades in which both move against each other in opposite directions, or one static blade and one moving blade. The latter is typically found on cheaper hedge trimmers as less moving parts are required, the downside is that more vibration will likely be felt. Contra reciprocating blades have the distinct advantage that their opposing movements cancel out any vibrations making the experience of using the trimmer far more comfortable for the user. 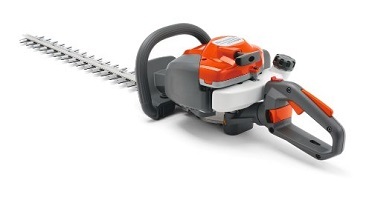 Vibration is a potential health risk if you carry out the activity for extended periods of time, therefore if you are using a hedge trimmer on a professional basis you should definitely invest in a model on which both blades move. The other important consideration as far as blades are concerned is in how they are manufactured. Cheaper hedge trimmers tend to have pressed steel blades that do a fair job on smaller less demanding hedges, but for regular or prolonged jobs the more expensive, but much sharper laser cut blade is a must. Many other features are available on different models of hedge trimmer, but perhaps the most important are those that allow you to comfortably hold the trimmer in a variety of different positions. After all, hedges have sides, tops, and branches can hang in all manner of angles and awkward to reach places. Therefore adjustable handles, or handles that can be grasped in different positions, are an extremely handy asset. 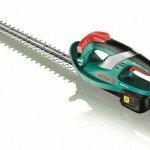 Weight also plays a big part in how well you get on with a hedge trimmer, as mentioned above carrying any amount of weight around for any length of time can be a real strain, so it’s best to try and go for a lighter model if at all possible. Equally as important is how the weight is distributed, if the trimmer is unbalanced, or doesn’t sit comfortably with how you hold it then it’s a non starter. If possible try to evaluate what others have noted with regard to balance, as it’s not easy to gauge until you start using the trimmer in anger.